EAR07 - "Grace" earrings are appropriately named for their elegance and simplicity. 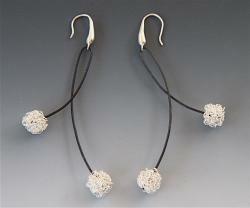 The delicate fine silver beads have a texture that contrasts beautifully with the sweeping curves of black steel. 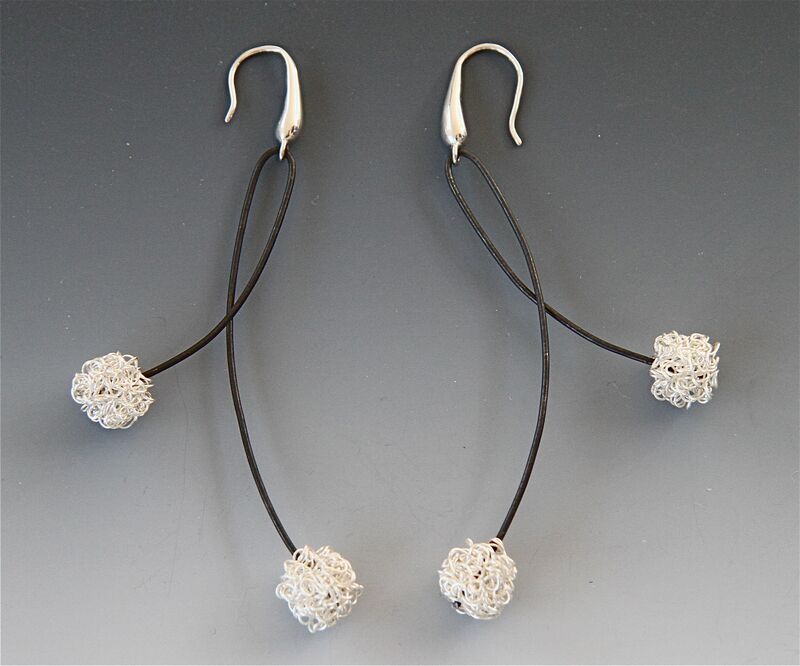 Dramatic and sophisticated, Grace will teach you how to make these tiny, textured silver beads as well as inspire you to make your own variations of these appealing earrings. Wear them for evening wear or change the types and color of the wires for a more relaxed, everyday look.